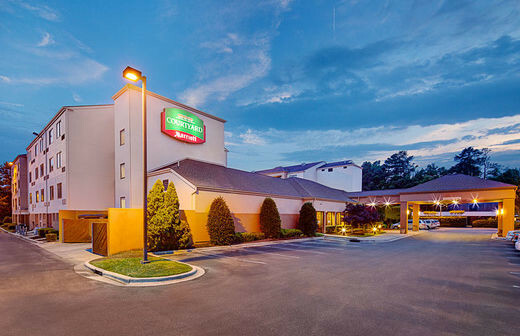 Courtyard Durham is conveniently located to I-85 and only five minutes away from Durham VA Medical Center, Duke University, and Duke University Hospital. 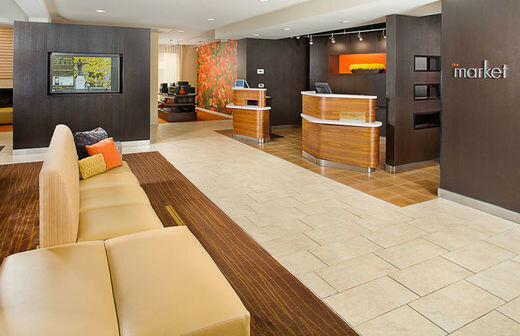 The hotel is walking distance from dining options like Bleu Olive, Melo, and El Corral, in addition to a pharmacy, nail salon, shipping office, and more. You can start your day with a workout at Courtyard Durham's fitness center and a breakfast from The Bistro. 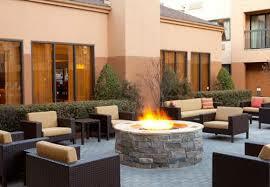 Courtyard Durham offers Marriott reward points for your stay.